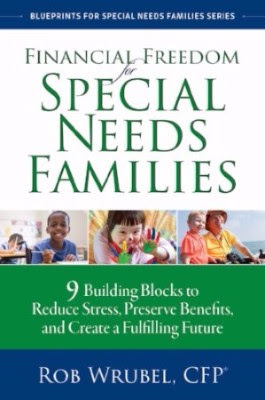 Join us for a book signing and reception as we celebrate the release of bestselling author Rob Wrubel’s new book Financial Freedom for Special Needs Families – 9 Building Blocks to Reduce Stress, Preserve Benefits and Create a Fulfilling Future. The event is free and refreshments will be served. Books will be available for purchase for the first 75 people. Rob is happy to sign your personal copy. Understand special-needs trusts and how to have yours in place in 30 days. Create financial stability and reduce stress. Take steps to fund a trust to care for your family member with special needs. Appreciate how much you’ve learned and grown as a result of your family member with a developmental disability. Gain more clarity about what you really want for yourself and your entire family. Rob Wrubel works with individuals, nonprofit organizations and businesses on financial planning including, asset management and asset protection, special needs planning, wealth transfer and retirement plans. Rob is a parent of a daughter with Down syndrome who works with families across the country helping them implement financial plans that take into account the unique and challenging issues they face. Rob is a sought-after speaker for special needs organizations. He’s delivered workshops and talks to organizations serving people with Down syndrome, Fragile X and other disabilities.